‘Mani Shankar Aiyar ji has to be concealed from journalists, BJP leaders, Kashmiri leaders, Pakistani generals and so on. Even his phone lines, computers, mobile phones, pigeons and other communication channels should be closely monitored,’ Sibal told MyNation correspondent Shoonya Nuqsaan. New Delhi: With barely a week to go before voting for the Lok Sabha elections 2019 begins, the Congress has demanded Z+ category security for its senior leader Mani Shankar Aiyar. “If the government and Election Commission do not accede to our demand, the party would petition the Supreme Court for a midnight hearing,” said senior Congress leader and lawyer Kapil Sibal. “There may not be any threat to Aiyar ji’s life, but if he comes in contact with the media even accidentally, there is a definite threat to the Congress’s life. With voting due to begin next week, this is the time he has to be guarded fiercely, like never before,” Sibal said. 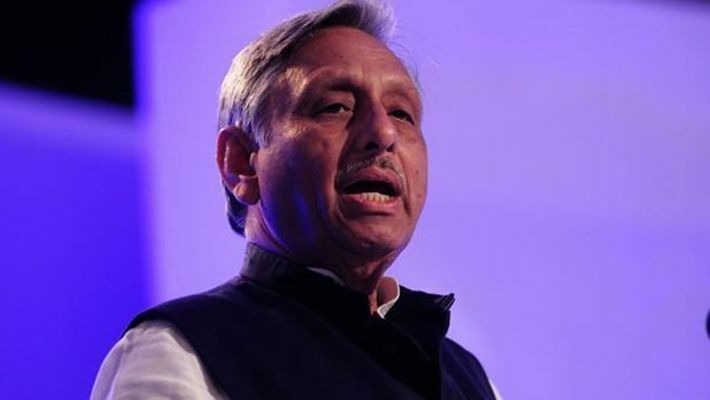 “Aiyar ji has to be concealed from journalists, reporters, BJP leaders, Kashmiri leaders, Pakistani generals and so on. Even his phone lines, computers, mobile phones, pigeons and other communication channels should be closely monitored by the security personnel. Journalists, especially, should be barred from being present within a 1 km radius of Aiyar ji’s residence,” Sibal told MyNation correspondent Shoonya Nuqsaan. The first reaction came from former Pakistan President Pervez Musharraf, who said that the Indian government should definitely accord Aiyar security at any cost. “I think it’s an extreme form of ghalees siyasat if isn’t granted. It’s not like they’ll be asked to make chai (tea) outside Aiyar’s house! If the security forces aren’t good enough, unhen hataaiye aur humen laaiye (replace them with us)!” Musharraf said, smiling. According to sources, some journalists have volunteered to guard Aiyar, in case the security cover is denied. “I’ve done an exemplary job of protecting him from a Republic TV mob earlier and I will do it again, if need be,” declared Mausami Singh of Aaj Tak. Soon enough, Delhi Chief Minister Arvind Kejriwal followed suit. “I’ve been screaming for years that I don’t need security. God lagbhag (more or less) protects me whenever Modi ji tries to kill me. I have already asked my security officials to head to Aiyar ji’s house. Now, at least, please, please, oh please form an alliance with me, Rahul ji!” pleaded the AAP chief. Samajwadi Party leader Azam Khan too has pledged his support. “I’m ready to give up my buffaloes’ security cover for Aiyar saahab. I can send them away on a study tour abroad, until the elections are done,” Khan stated. The BJP, however, has begun pushing for Z+ category security for party president Amit Shah. “Given the kind of folks he has inducted into the party of late, it is Amit bhai who needs security cover to prevent people like Aiyar ji from coming anywhere near him!” said home minister Rajnath Singh. Netaji Subhas, Tagore, Vivekananda, Vidyasagar…Mamata Banerjee: Shocked?